A budget worksheet is a tool that is the basic building block of any type of budget planning. Whether you are an individual, family, or business you will need to budget your money so that you can see where your expenses are going. The purpose of budgeting is to find out what money your are spending on a daily, weekly, monthly, and yearly basis and eliminate, or reduce, unnecessary expenditures so that you may save for the future. Where this may all seem like a lot of data and overwhelming to you it can be accomplished by using a budget worksheet. A budget worksheet will categorize your income, fixed expenses and variable expenses in a way that is easier to manage and find out where exactly your money is going to. There are many resources for software that will provide you with a budget worksheet. There are numerous free online budget worksheet resources that you can find on the internet including Quicken Online, Mvelopes, and Yodlee money center. These resources will allow you to manually input data relating to your income and expenses to help you devise a plan for the future relating to your finances. Your budget worksheet should start with your income. This includes all stable income from your salary and other stable interest bearing assets such as bonds, income from rental property, and other cash inflow that is consistent over the month. 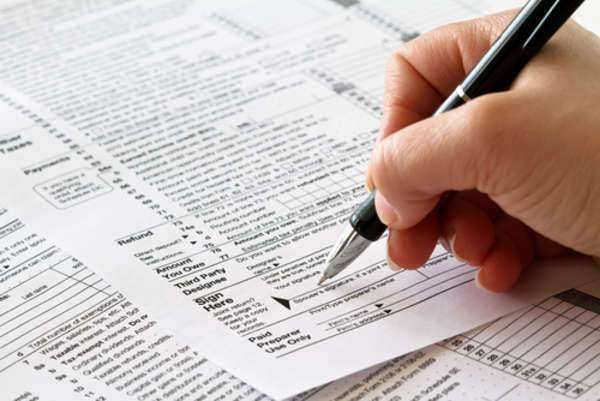 When compiling this data in your budget worksheet you should prepare in advance and have all documentation, including tax returns, to help you identify all the money that you have coming in. If you have income that is dispersed on a yearly basis then you have two options. You can either divide that number by 12 or use that number in your income calculation or you can remove the income amount from that item completely. Once that is done you should start compiling your monthly fixed expenses. This includes rent, mortgage, car payments, insurance, phone bills, emergency funds, vacation funds, etc. By subtracting your fixed expenses from your fixed income you will have a number left over that will account for the money you have left at the end of the month for variable expenses and savings. It is now time to input your variable expenses into the budget worksheet. These can include minor luxuries, like coffee, or necessities such as groceries or gasoline. The idea behind variable expenses is not to prioritize items but to gather information about expenses that may change from month to month. Your variable expenses include clothing, entertainment, bills such as utilities and credit card bills that may change from month to month, food, and all incidentals, no matter how minor. Once you have compiled the list of income, fixed expenses and variable expenses you can begin to realize how much money you are spending on a monthly basis and the impact that removing one of those items will have on your spending. For example, you may not realize that your cigarette habit is costing you $100 a month until you compile your budget worksheet. This will give you a good look at what this unnecessary expense is costing you over the span of time and may also give you motivation to quit. It’s easy to find free budget worksheets but, like with anything, you get what you pay for. There are many products out on the market that offer advanced budget worksheets and often take data directly from your bank accounts, lending institutions, and other accounts where you may have income generated or expenses building, and input that data directly into the budget worksheet.